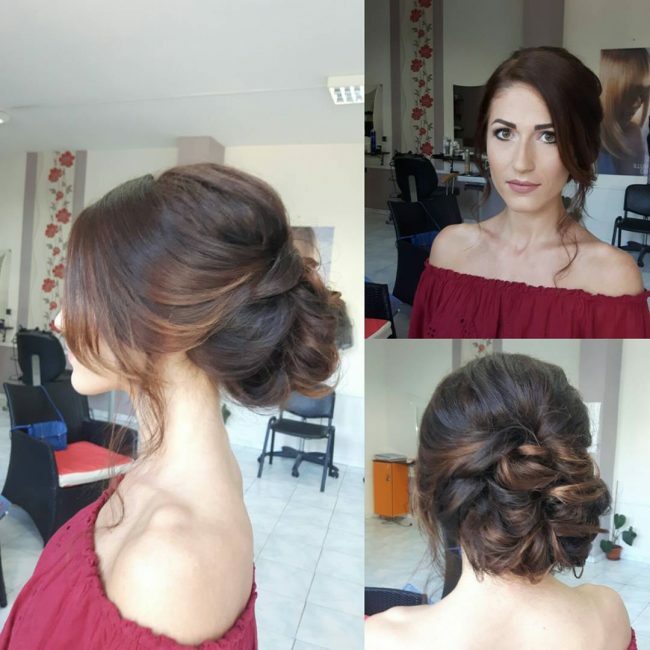 Messy updo hairstyles are very fashionable they are also currently trending, and so they are ideal for a woman who wants to keep up with the times. These styles are perfect for ladies who are not very good at styling their strands or those having problems with flyaways and frizz. 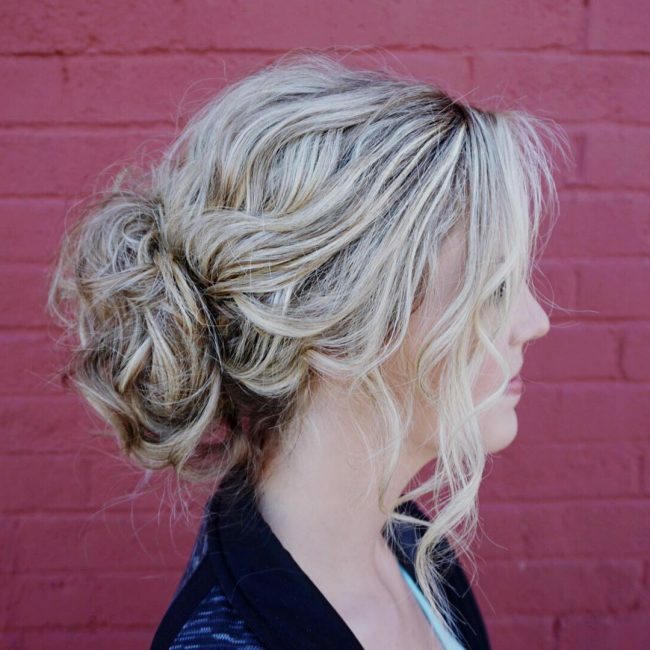 There are also many ways to wear this fabulous updo, and you can do this with a bun, a top knot or even with a ponytail. 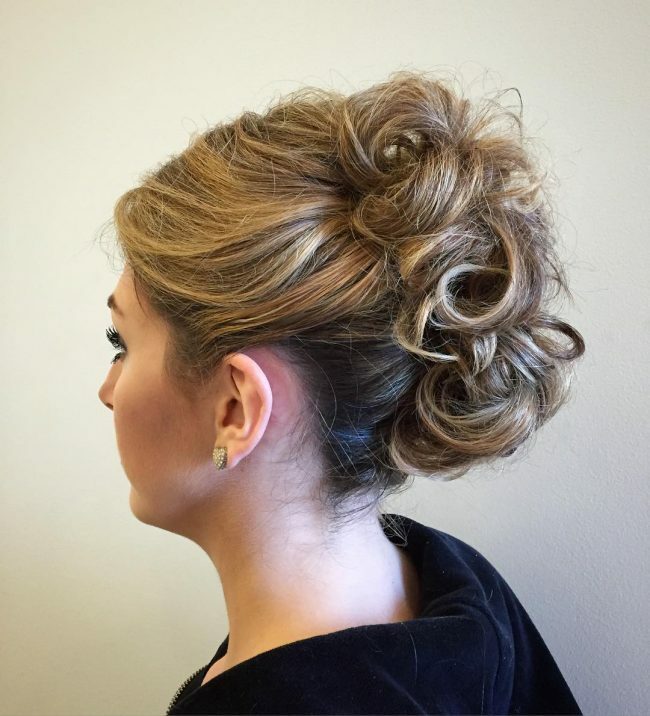 Below is a gallery of 40 glamorous styles to help you with wearing this fantastic messy updo design. A fanciful headdress like this one will make a bride have a wedding to remember for a long time. 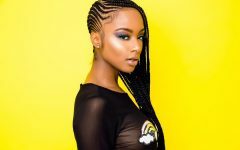 It is a chic hairdo that entails weaving a loose braid on the side and pulling all the strands to the back where you should then twist and pin them into an up style. A Mohawk is one of the most versatile hairdos that you can wear, and this is what makes it a very attractive design. This particular one entails pulling the strands to the center of the head, twisting and pinning them loosely and in a messy pattern. The bangs on this headdress make it look exquisite, and you should style them with a part and by side-sweeping them. 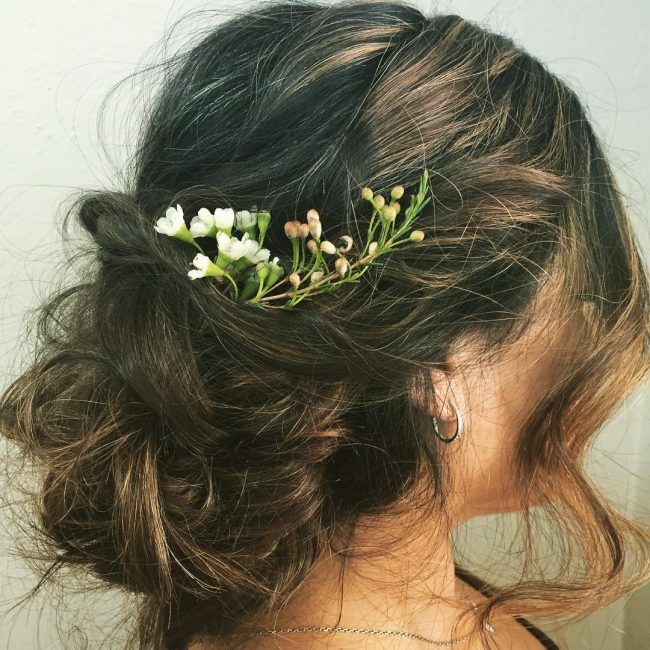 However, the styling of the rest of the strands with a messily tucked bun is what makes this a top notch hairdo as it adds some elegance and class to the design. These beach waves are very ordinary, and you can form them with little effort. However, their styling is what makes this hairdo look extra charming and it entails pulling them to the back, twisting and pinning them at the back. You should also weave one neat twist and then run your fingers through the free flowing locks to give them the messy appearance. To wear this sassy hairdo, you will first need to trim your strands for some texture and then pull them back into a bun. 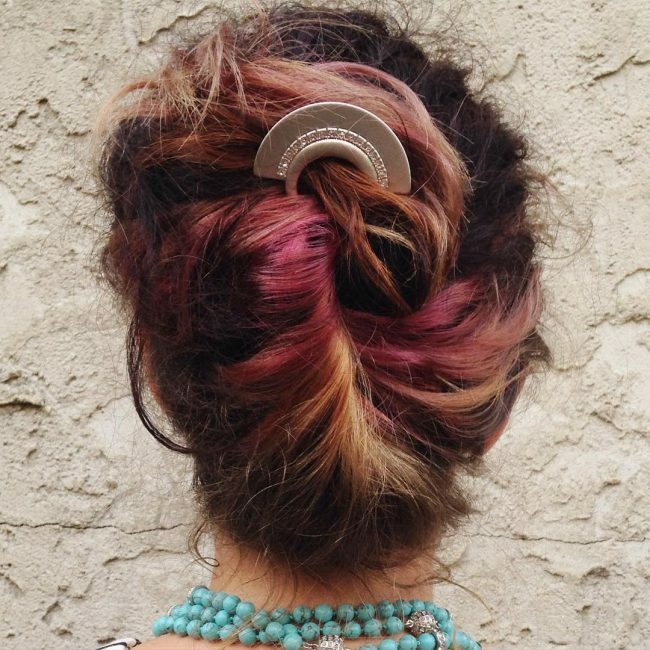 You should make the bun loose and also leave some free locks around it for a natural finish. Accessorizing with some beautiful flowers is also an excellent idea. Wedding styles do not have to be complicated but instead you should focus on being very comfortable on your big day. 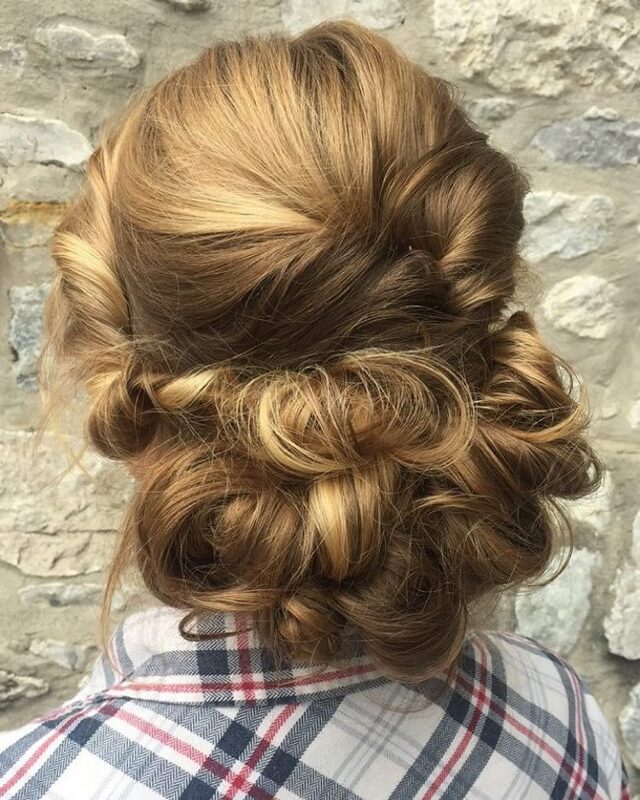 This style is perfect for a wedding, and it involves brushing back your hair and twisting it into a messy bun. The strands also have a very soft look that adds some beauty to the style, and you should accessorize with a beautiful clip. You should not have any problem styling your long textured and wavy locks because there are limitless options available. 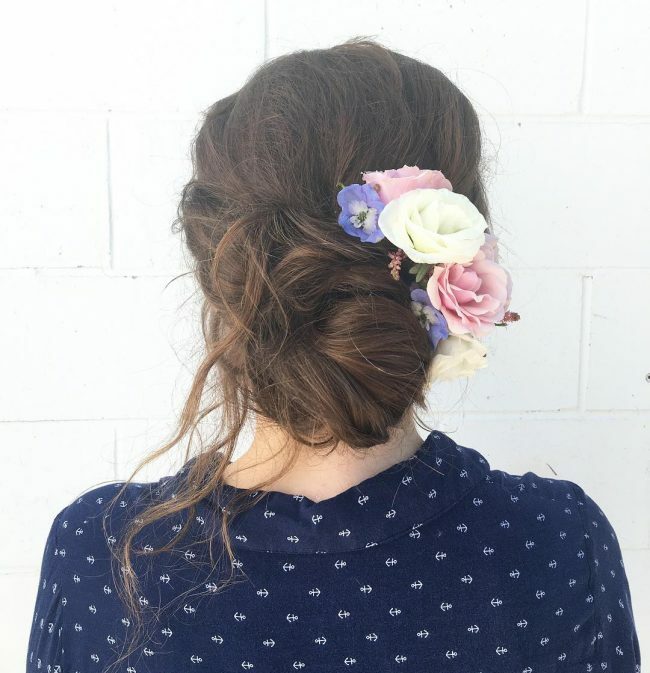 This particular one is a very simple design that entails giving the wavy strands a slight twist and wrapping them around the head before finishing with a side bun. Everything from the color to the volume of these strands is natural and so you only need to know how to style it to form the lovely design. It entails Puling all the hair to the center of the head and weaving them into a Dutch fishtail at the middle of the head to form a Mohawk-like design that ends in a small bun on the side. 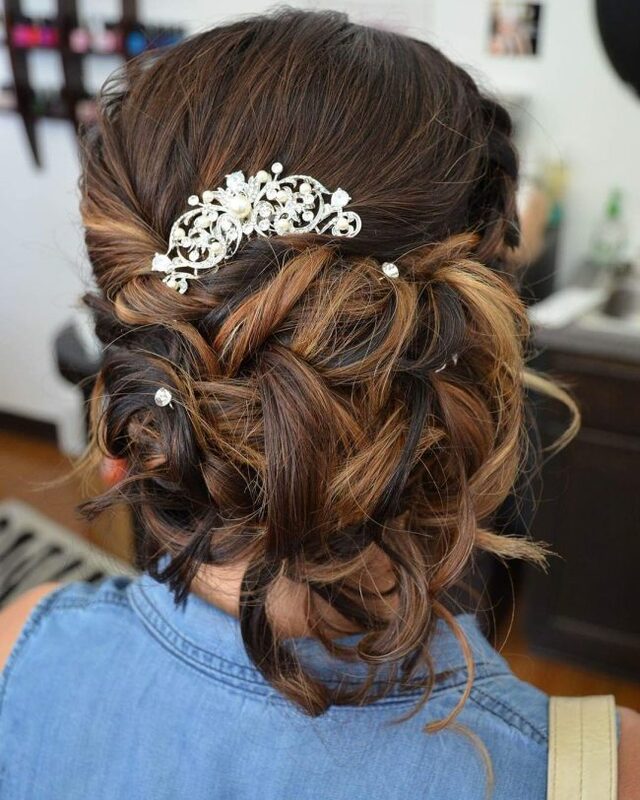 Here is another stunning bridal hairdo that will make sure that you have a memorable wedding. It is a very comfortable design that entails sweeping back your textured blonde locks and twisting them at the back before pinning them in place to create the up style. And to finish the look you will only need to accessorize with some beautiful flowers. 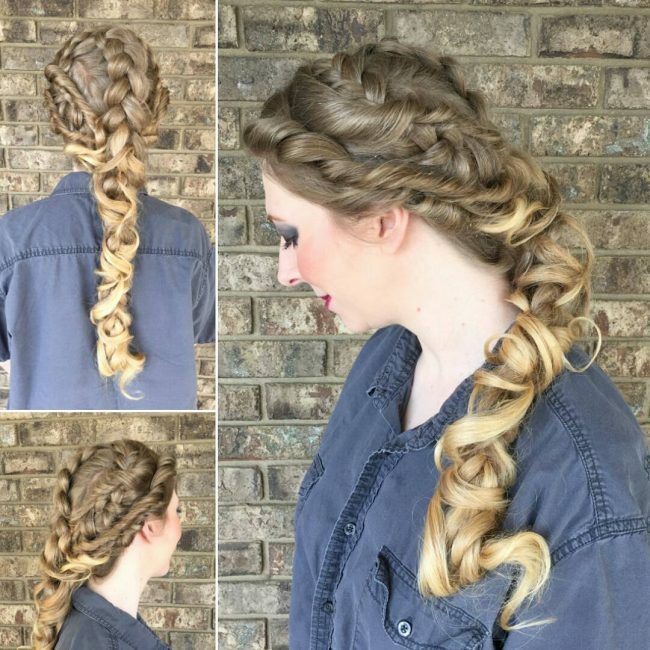 The highlight of this hairdo is the small braid that starts at the front and swirls at the top of the head before finishing into a messy but at the back. Apart from this the strands also have a beautifully highlighted shade and an excellent texture. Accessorizing with some cute flowers also adds some beauty. Boho hairdos are very fashionable, and they will always guarantee you of a distinct appearance if you can create them inventively. This lovely one entails weaving the hair into a medium size crown braid that finishes into a chignon at the back. 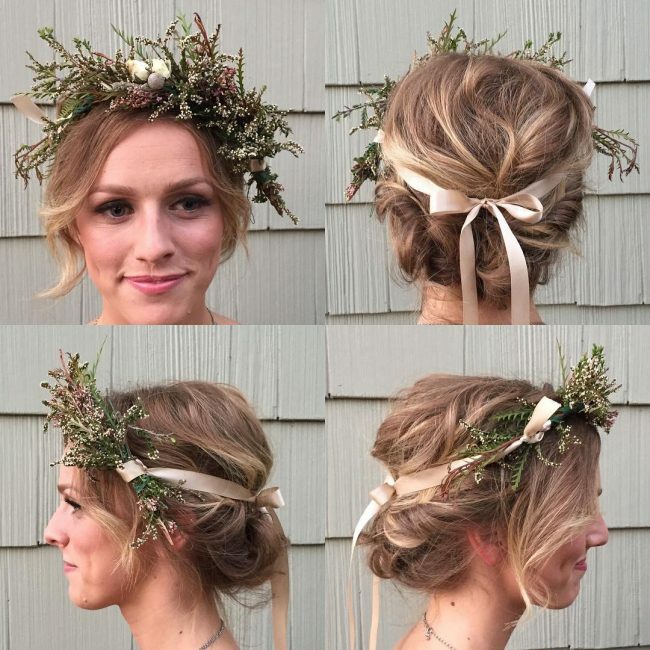 The style also has some beautiful flowers throughout the head that also add some elegance to the overall appearance. When you feel like wearing something that goes with an outdoor feel, then this style is what you need. It a beautiful hairstyle that entails sweeping back some textured chocolate brown locks and twisting before pinning them at the back to create a messy up style. 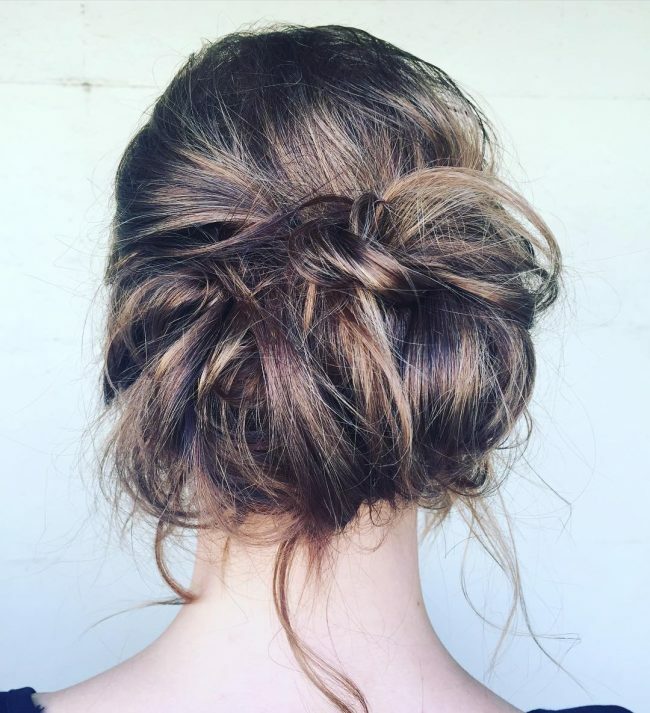 Messy updo hairstyles come in all shapes and sizes, and they are perfect for any occasion, and this is what makes them very attractive. It is hard to tell that this one has a fishtail on the side because it is very loose and shaggy. The thickness of the fishtail also helps to enhance its appearance and it finishes into a thick and messy bun at the back to create polished headdress. 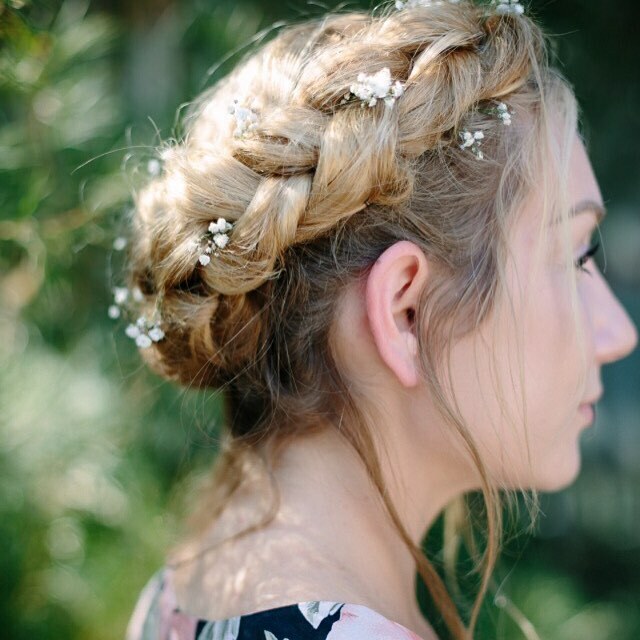 A crown braid is an everyday hairdo, but this one is a class above the others. Crown braids make perfect messy updo hairstyles, and all you have to do is to leave a few free hairs below your lovely twist. And to take things a little further you should also spice up your design with some cute flowers. One might be tempted to think that this hairdo does not have any precise styling, but this could not be further from the truth. This look will require you to pull all your strands to the crown and twist them to form a messy top bun. The locks also have a beautiful shade that comes from highlighting the brown locks with a blonde hue. 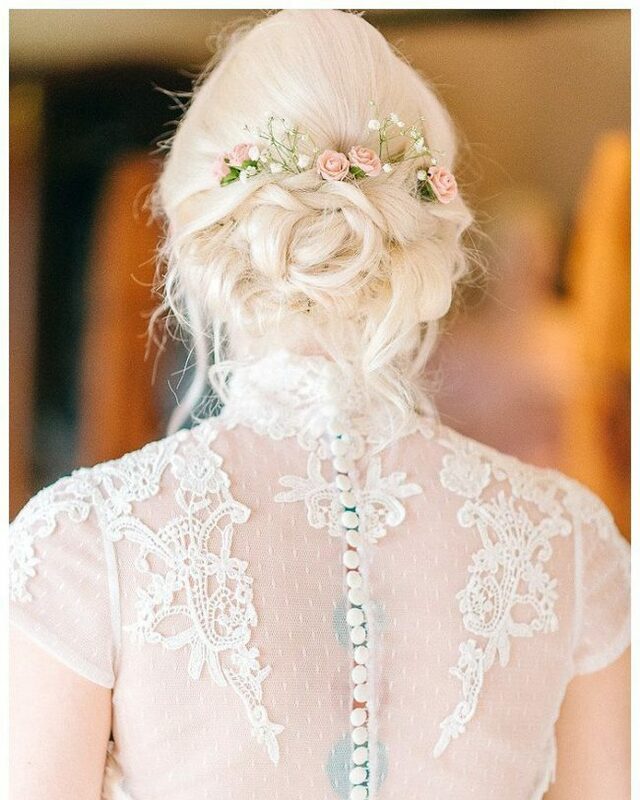 You can never have enough of the Boho hairdos, and the beauty of this one shows why. It is an elegant design that you can replicate easily by pulling back your strand and twisting them into a loose chignon at the back. To look this stylish, you should also leave a few free locks and accessorize with some flowers. 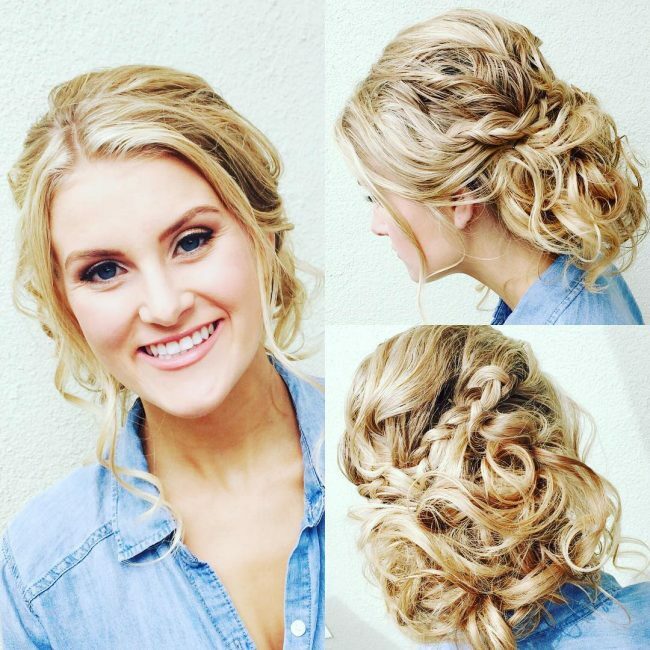 The soft waves in this hairdo have an amazing texture and a beautiful blonde shade that makes them look extra cute. 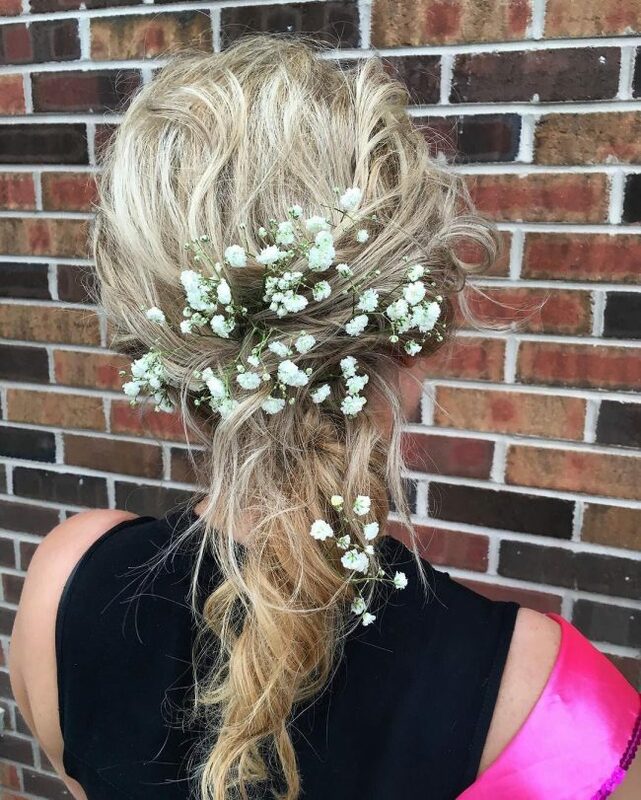 Their styling is also top notch, and it involves pulling them back to form a messy ponytail and finishing by accessorizing it with some beautiful flowers. 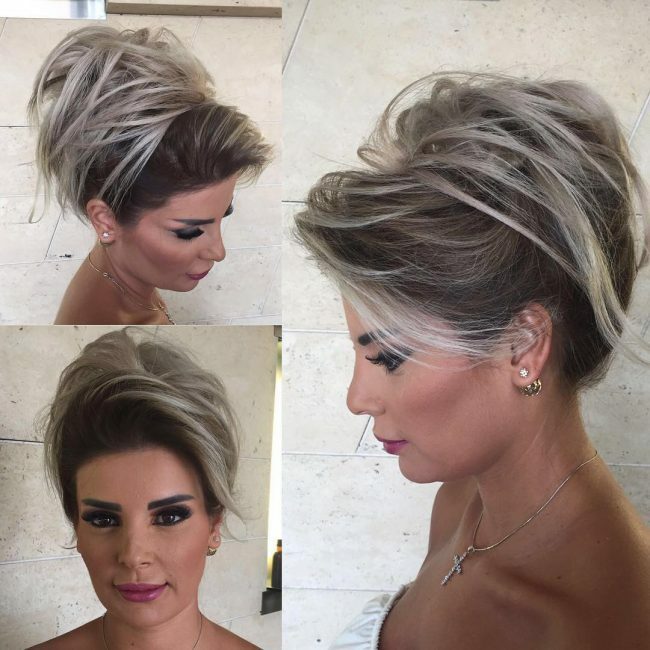 This magnificent hairstyle does not have any cuts or dye job, and so its beauty comes from the styling. The locks also have a perfect volume and a pretty natural shade. To style them you only need to pull and twist them at the back into a loose and messy up style. 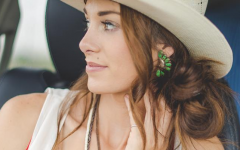 These locks also have some beautiful waves, and you should leave a few of them hanging at the front to show them off and also spice up the look with a floral clip. 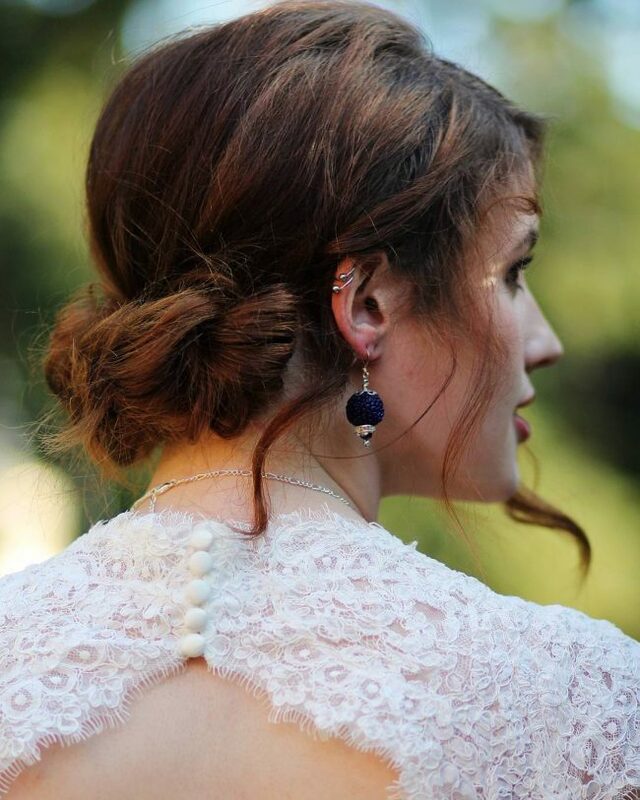 Boho designs make perfect messy updo hairstyles, and the best thing about them is that most are simple to wear. To create one like this one you should sweep back your hair and twist it into a fancy bun at the back while leaving a few bangs hanging over the face. However, the golden brown shade in this style gives the locks a beautiful shade that helps to enhance the design. 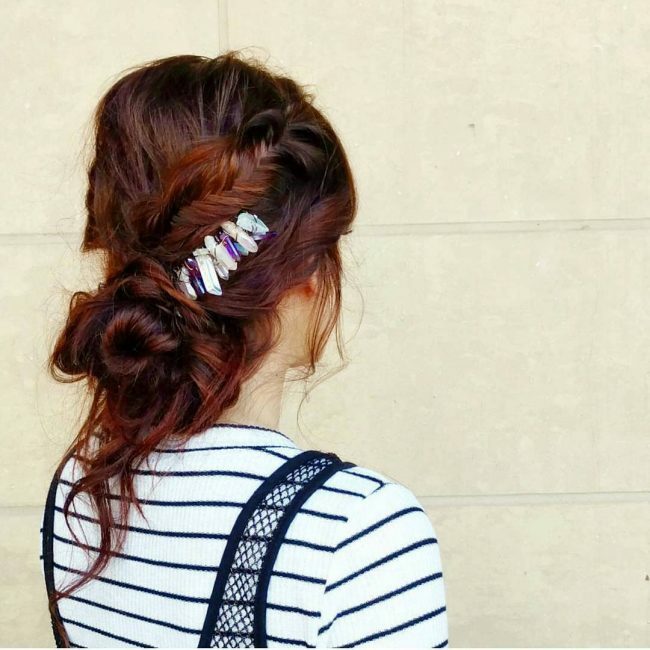 Chignons are very fashionable, and they also offer a trendy alternative to buns and knots. This particular one is in a Boho style and on some medium size twists. To create this look, you should pull back your chocolate brown strands and tuck them to form a loose and messy chignon at the back. 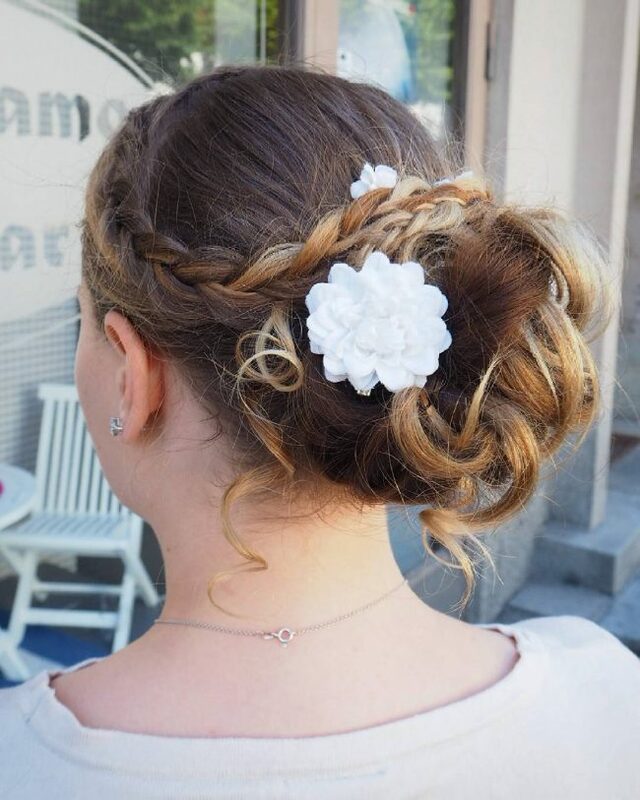 You should then finish the design by accessorizing with come cute flowers above the chignon. A prom headdress has to be perfect because you might never get a chance to have any other prom. It should also be simple and easy to wear like this amazing one that you can form by side sweeping back some textured bangs and tuck them into a bun at the back. The design also has a few free locks at the front that you should style with a simple side sweep. The face framing look of this hairstyle is fantastic but also very easy to form because you will only need a center part at the front and to sweep your locks sideways. However, this style also has some textured locks and a loose braid that you should style by pulling back into a medium size messy bun. Messy updo hairstyles do not require you to create any particular pattern, but you should instead focus on having something stylish like this one. Here you need to weave your strands into a medium size braid that starts at the front and goes all the way to the back. You should also twist the rest of your strands in a rope-like design and then join everything at the back to form one messy twist. 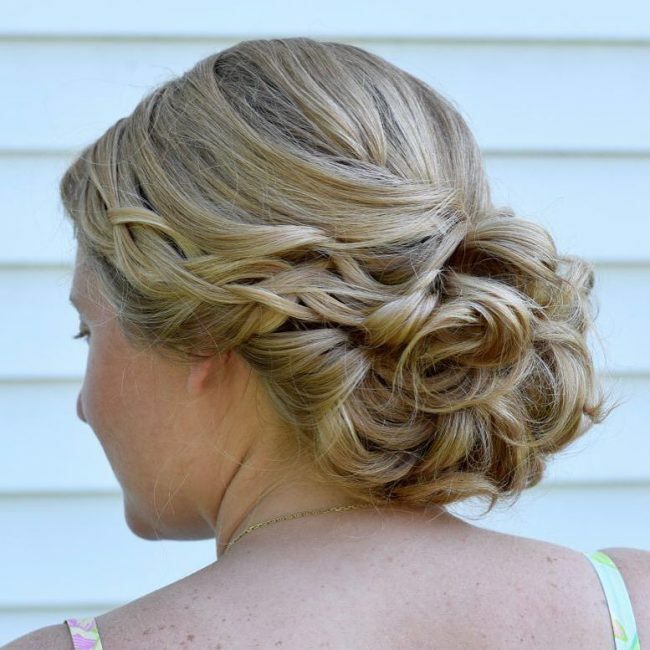 This lovely hairstyle is very fun to create, but its immense beauty is what should convince you to try it out. It entails brushing back your brown locks and then twisting them at the back to form a tightly braided chignon. The messy appearance comes from the texture of the strands and also from leaving a few free locks. Fishtails are not only very easy to form, but they will also give you a chic appearance provided you know how to create them. 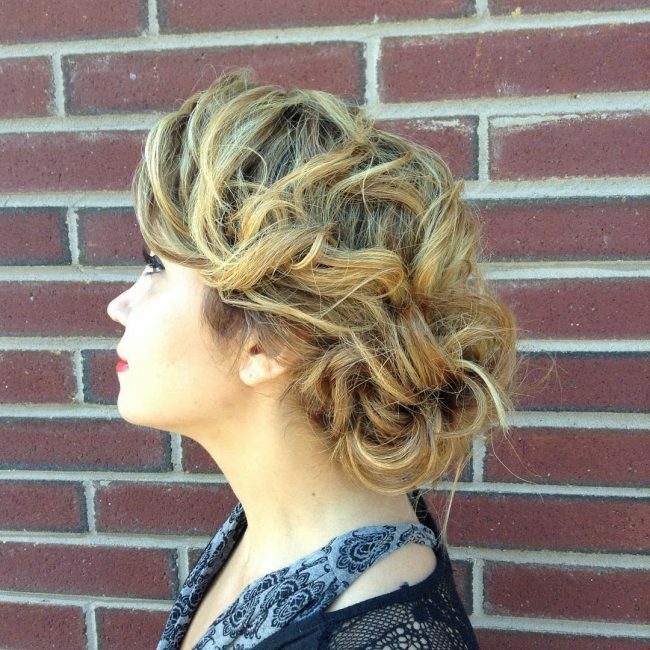 The one in this style starts at the front of the head and flows on the side before finishing in a side bun at the back. 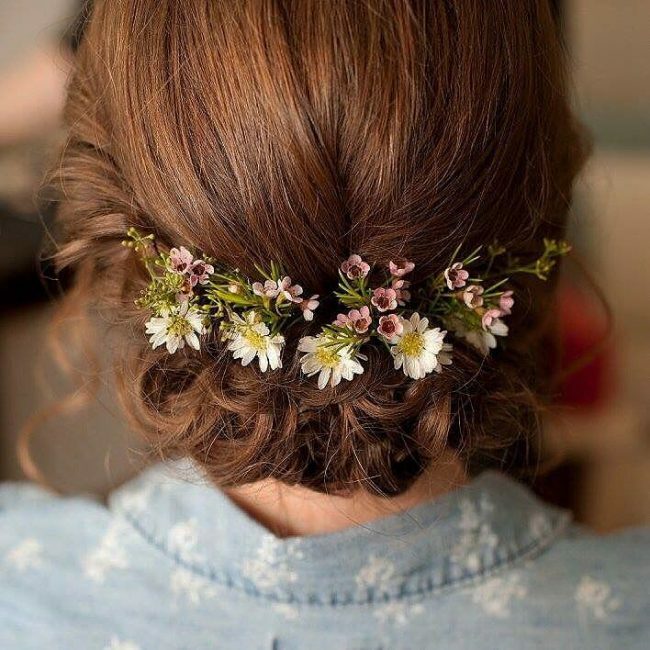 It is very loose and messy, and this makes it more adorable, and you should finish the style by spicing it up with a flower crown. 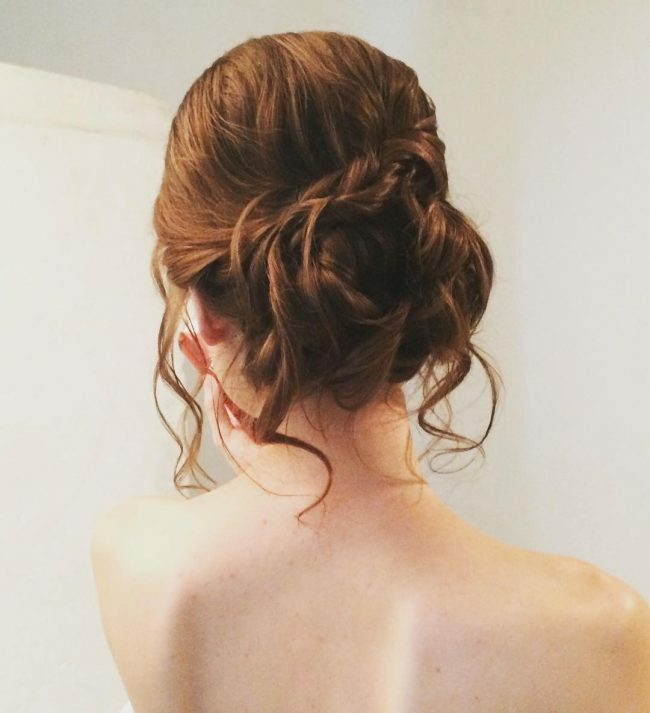 An updo works for any length of hair, and so it is not necessary to have a long mane to wear one. This particular one has some short textured locks and its styling entails sweeping them back into a loose chignon. You also need a center part at the front and a side sweep of the locks that are too short to pull into the chignon. The golden hint on these brown strand helps to create a lovely tone for the headdress. Apart from this the hair also has an attractive style that entails twisting it from the front and pulling it back where you should pin it to form a thick twisted prom bun updo. 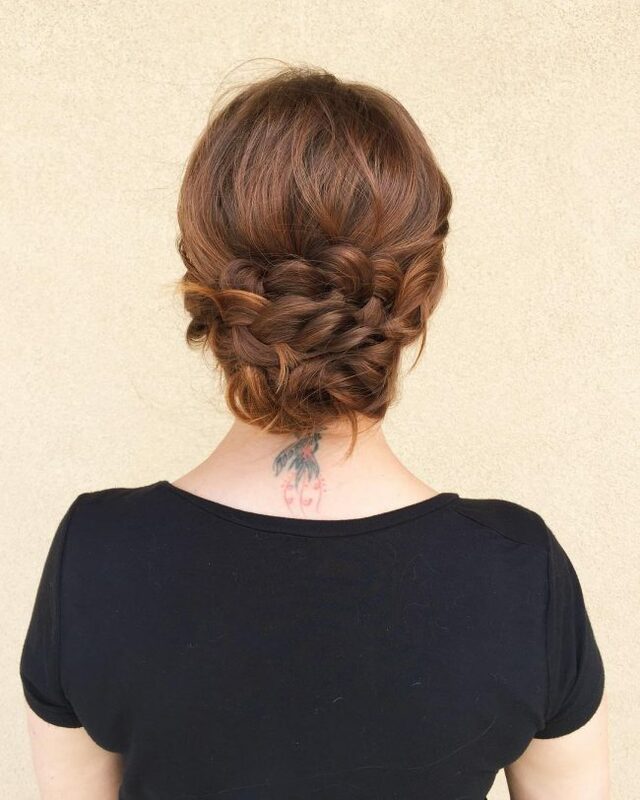 To create this adorable braided design you should start by weaving the strands into two twists from a center part at the front. You should weave them all the way to the back where you should finish the twists into a small and tight braided bun. Some beautiful pink u-pins are also perfect for accessorizing your headdress. 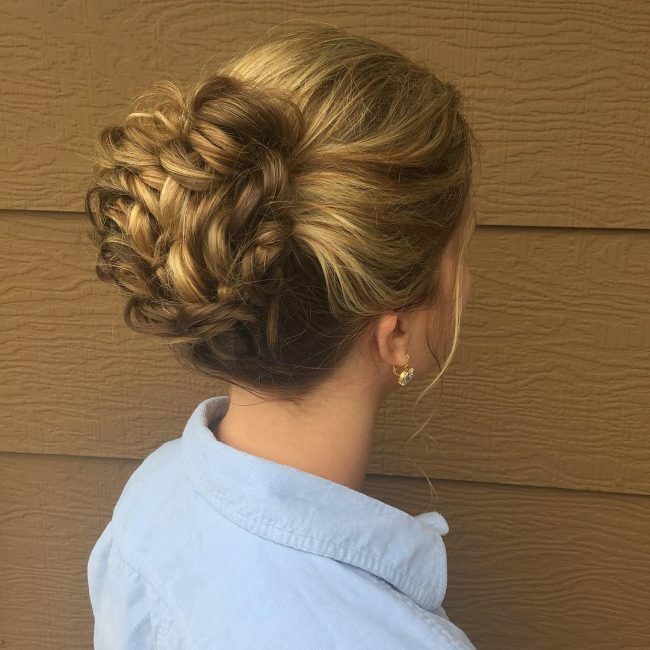 There are no pins in this hairstyle, and all the beauty comes from stitching. 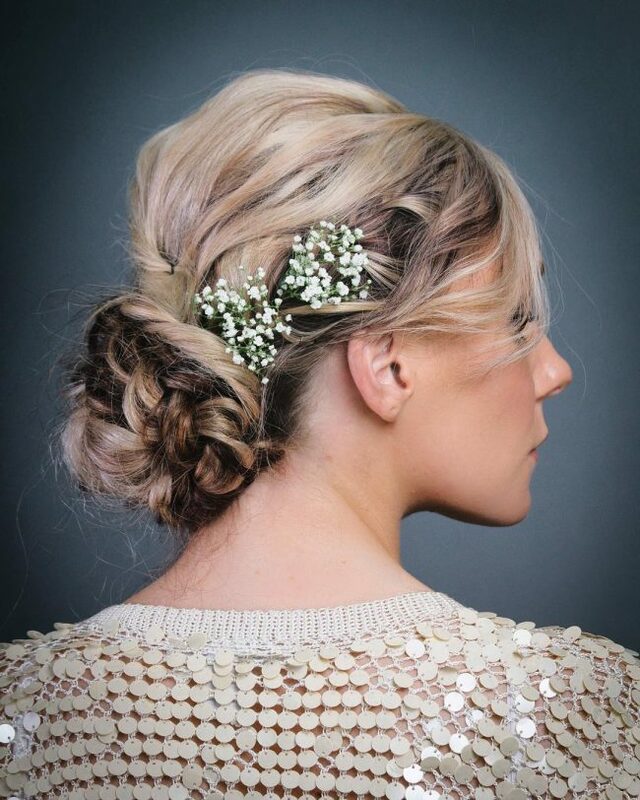 This lovely hairdo involves weaving the strands into a loose fishtail that starts at the front and swirls around the head before finishing in a messy textured bun at the back. 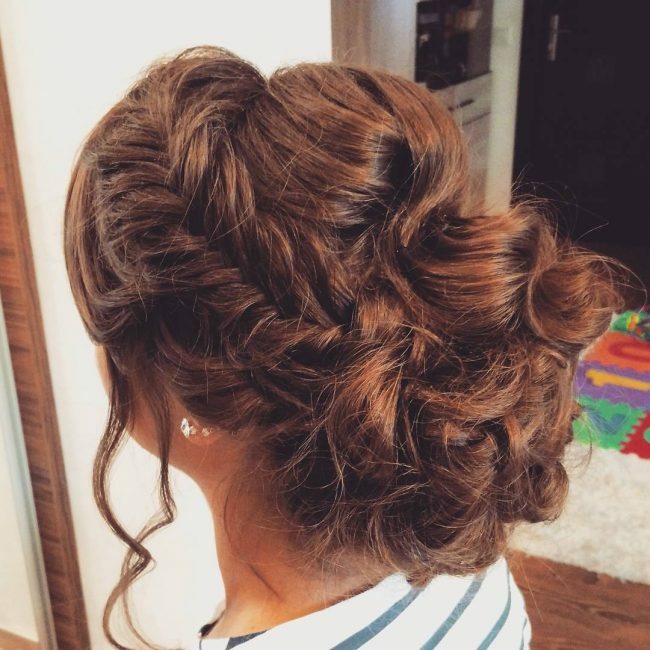 The hairdo also has a loose rope twist on the side that you should also end in the bun. Your hair texture will always have an enormous impact on your headdress and sometimes having a perfect one is all that you need for a stylish appearance. The texture of these ashy blonde strands makes a huge difference, but the locks also have some subtle waves that add to their beauty. 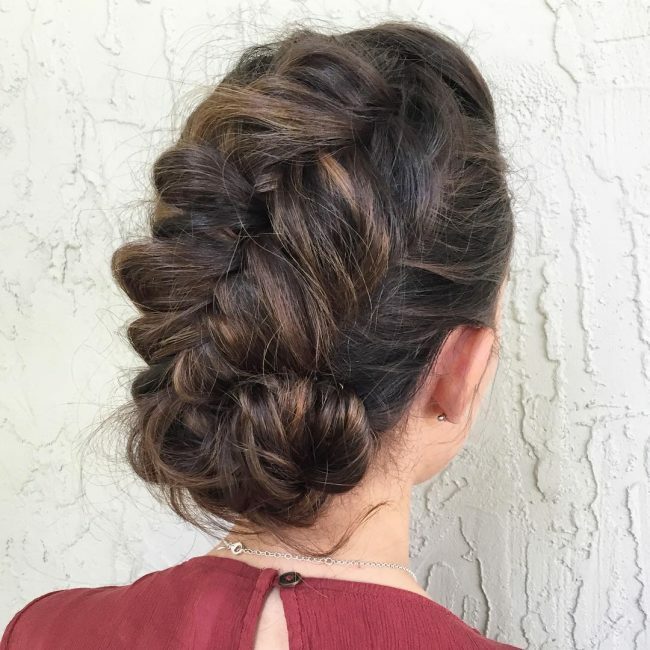 For styling, you only need to pull your textured strands into a loose bun at the center of your head while leaving some face-framing locks at the front. Length does not always matter when it comes to modern hairdos, and so you should focus more of your effort in styling your strands. 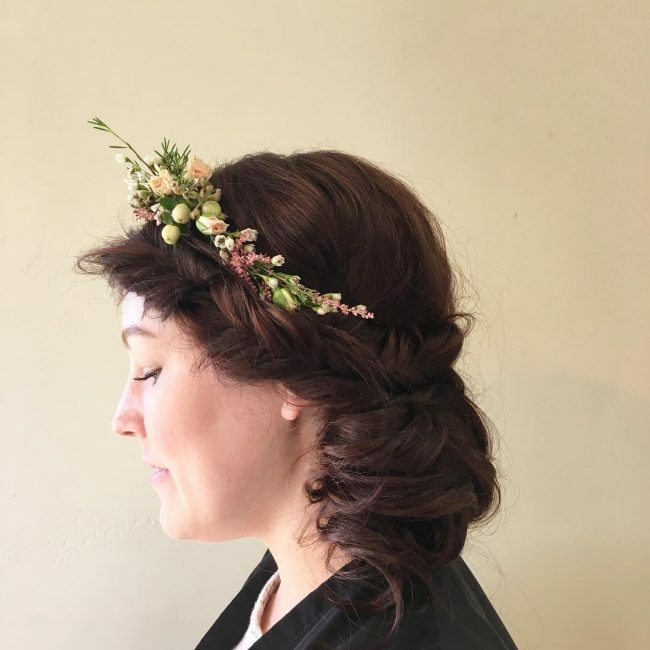 These brown ones might be short but their subtle waves and the inventive pinning at the back to form an updo makes the headdress look extra cute. 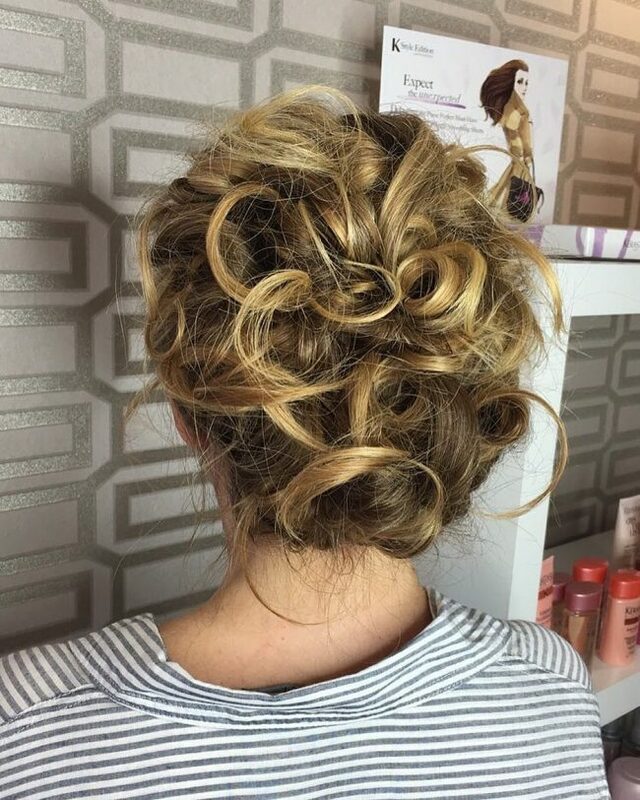 There are many things that you can do to enhance your messy updo hairstyles but making them messier than usual is just enough in most cases. The short curls in this design prove this because apart from having a beautiful color the only other thing that you need is to give them an extra messy look to create a refined appearance. 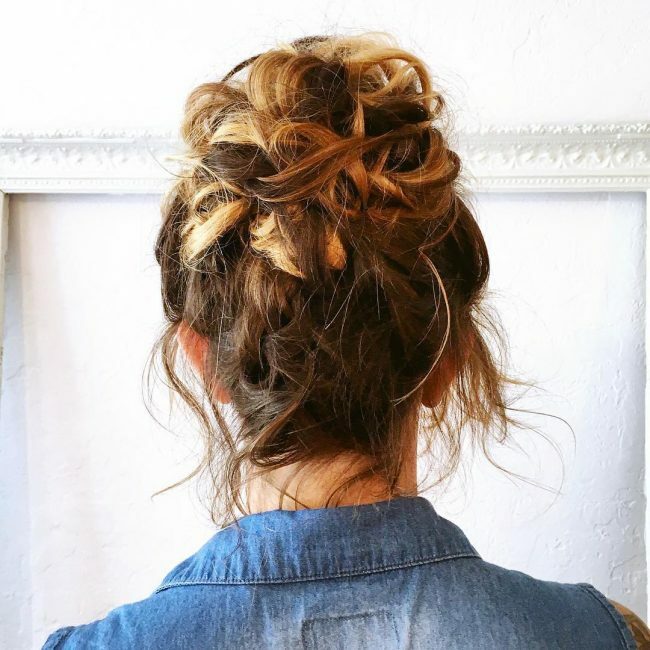 The height of this messy updo is enough to convince any woman to try it out. The strands also have a beautiful ice blonde shade that creates an incredible contrast with the dark roots. 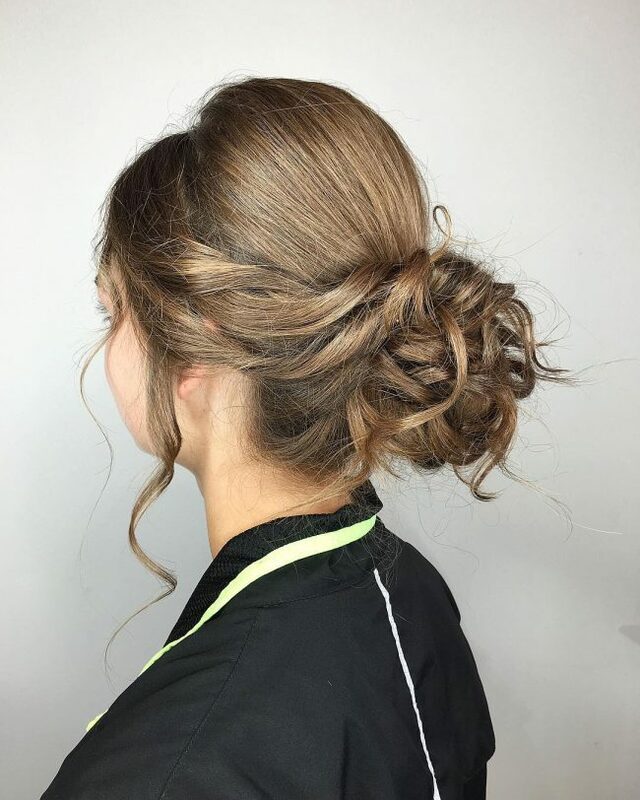 To create this elegant hairdo, you should pin some of the wavy strands at the center of the head to form a high bun and then style those at the front with a side sweep. Pastel shades are perfect when you want to brighten your appearance and in this design, they help to give the natural brown locks an astonishing shade. These strands also have an inventive styling that entails twisting them starting from the back before pinning them at the center of the head to form the loose updo. Any lady can create this hairstyle and this regardless of how skilled she is in styling hair. It is a straightforward design that entails twisting the strands on the sides all the way from the front and then finishing them into a weaved bun at the back. 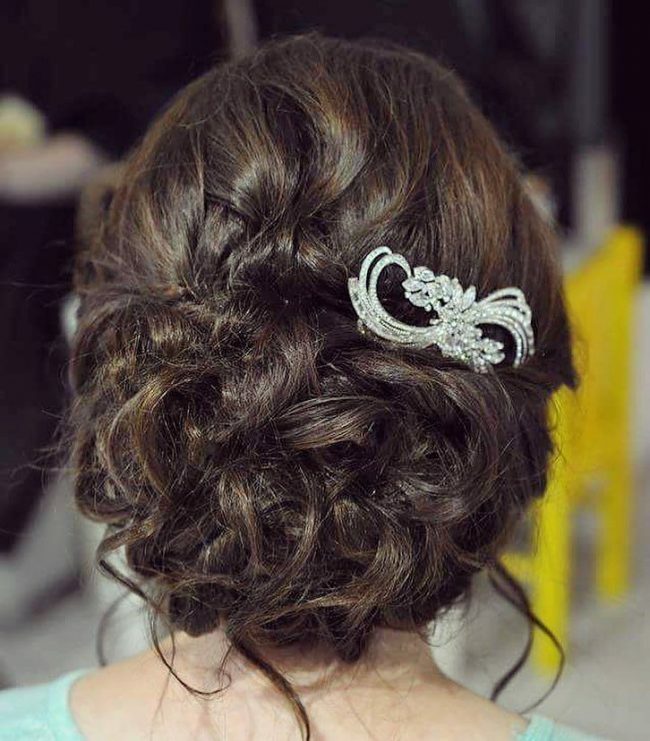 It is also an excellent idea to spice up the design with a pretty clip above the messy bun. Mohawks make fantastic updo hairstyles, and you will also not spend a lot of time forming them. 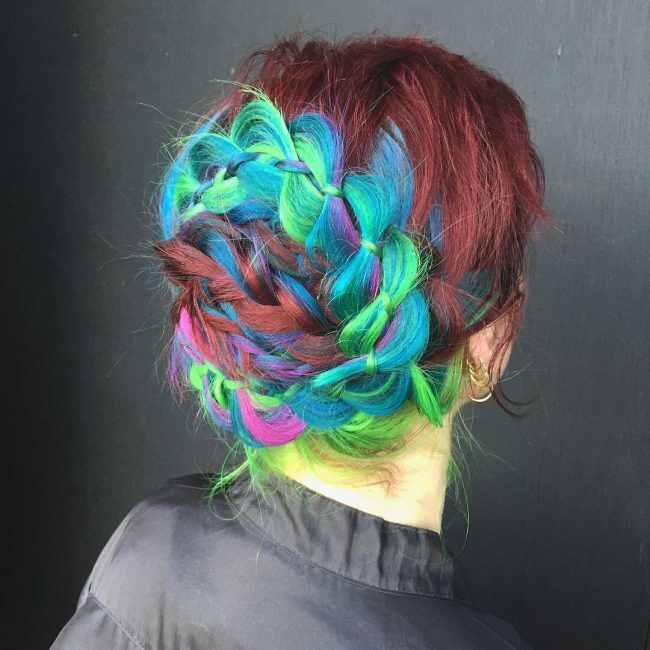 To create a stylish one like this, you only need to pull your hair to the middle of the head and then pin them in place to form the Mohawk design. Messy hair is very trendy, but this one looks way much better than most others. And this is because the strands have a beautiful highlighted shade and volume. Their styling is also top notch, and it entails pulling back the locks and rolling them to form a loose and messy chignon. Color will always have a significant influence on the type of hairdo that you create, and it can break or make it. Introducing some bright rainbow shades in this design makes a huge difference as it helps to brighten up the overall appearance. However, the strands also have an inventive style that involves weaving them into some four strand braids that wrap around the center of the head to form a perfect updo. 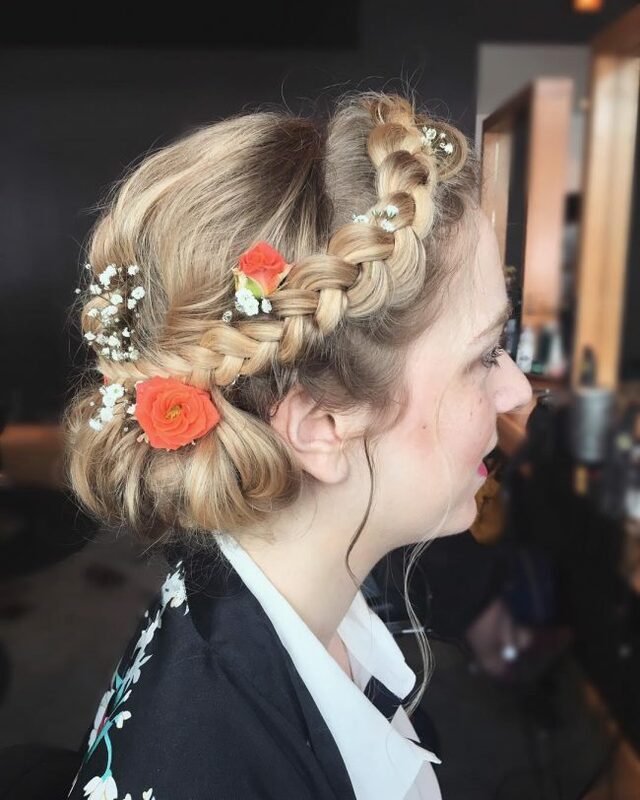 The flowers at the front and the ribbon at the back combine to create an exquisite crown that will steal away all the attention in this fancy hairdo. However, there is still much more to this look than this because the strands also have a simple messy Boho updo that makes them look magnificent. 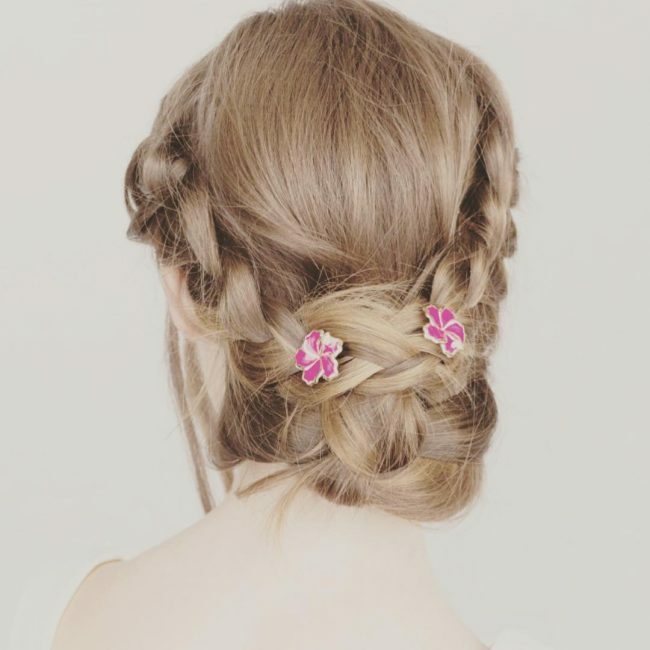 This fancy hairstyle is very effortless, and it will only take a few minutes to create. The strands also have a beautiful shade and to style them you only need to sweep and pin them at the back to form a loose and fashionable updo and accessorize with a cute headpiece. Messy updo hairstyles are as chic as you can ever wish for and you do not need perfect styling skills to form them. And so they are an excellent choice when you are looking for something fast that will make you look trendy. The picture gallery below demonstrates 40 easy ways of wearing these styles, and so you should not have any problem finding something that works for you.